The most important part of your home’s weather proofing system (which many homeowners neglect and overlook until the damage is already done) are the Gutters. If water isn’t directed away from the house via the gutters, it can cause rot and repairs would be necessary. 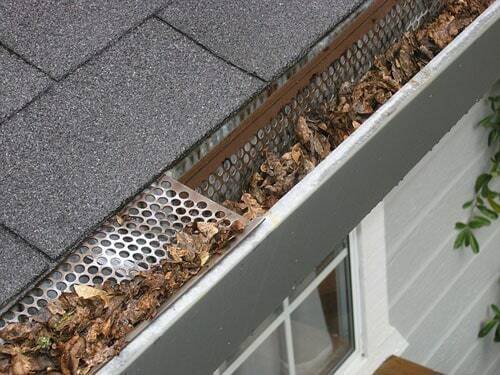 While it is raining, water is directed down the gutter system which allows the water to drain properly. Hundreds and in some cases, thousands of dollars can be saved by having a sufficient gutter system that would otherwise require big repairs to the roofing, fascia, and siding foundations. The horizontal underside of a roof eave is known as the Soffit. Part of its functionality is to increase ventilation in the attic, providing air circulation via the small holes in its plain design. It does this by drawing heat and moisture from the vents and away from the house. The Soffit is vital because without removing moisture from the attic, rot can develop in the sheathing and rafters. The vertical finishing edge connecting the ends of the trusses, rafters, or the connection between the gutters and roof are called Fascia. 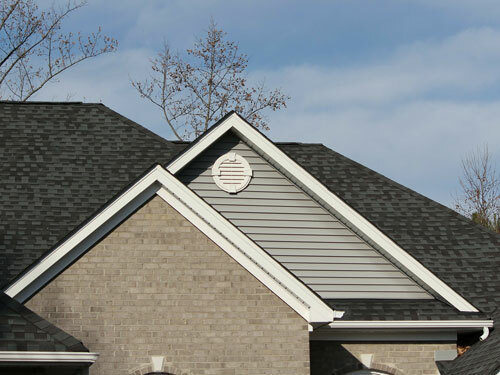 The Fascia protects the wooden boards that make up the roof’s edge to the outdoors, and without it water buildup from inclement weather would cause water damage. 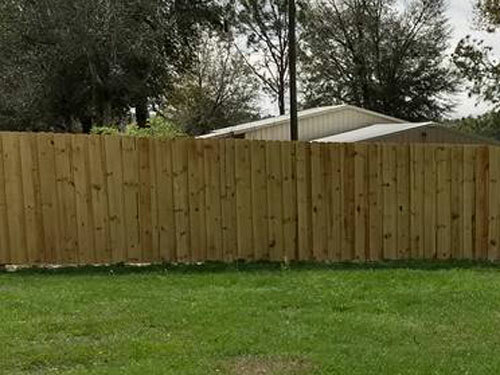 Wooden privacy fences have three common types: Stockade, shadow box, and board on board. A Stockade is when the boards are lined up in a row next to each other, and when they dry small gaps are left between the boards. The next type known as a Shadow Box is when the boards are staggered on both sides of the fence, leaving both sides with a similar appearance. The last type is the only one that gives complete privacy and is called Board on Board. This is done by overlapping the boards over one another on the same side. Want to add value to your home while creating the perfect place for a beautiful Florida backyard barbecue? Then a patio or backyard deck is the way to go! They can be added as an extension to your foundation, or even placed in a separate and strategic way to give your home uniqueness and more functionality for fun friend and family gatherings. Decks can really give your life the pep you are looking for! But your yard is not level, you say? That’s no problem. Each deck is custom designed for your specific project. 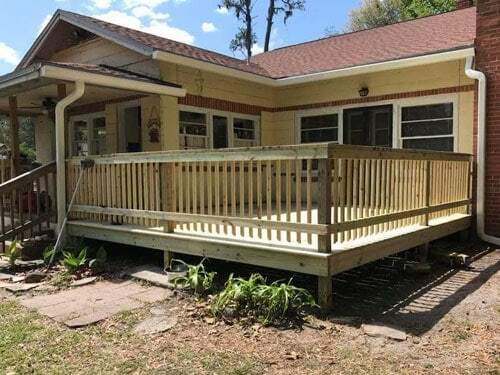 All it takes is a bit of tweaking to the height of the deck poles, and your deck will be as level as a board. There are two things that differentiate residential, commercial and industrial grade chain link fences: the thickness of the post and wire. What’s most important and makes for a durable chain link fence is the thickness of the wall. A big round post but a thin wall is what many companies offer, but these never last. We focus on strength and achieve this by using our preferable schedule 40 post and 9-gauge wire. To add durability and to make your fence last at least 25-30 years, we hot dip galvanize after the weaving process. Doing it this way ensures that the galvanized coating is spread evenly, even where the wiring is cut and twisted. When the entire process is done properly, it really leaves an astounding, strong and durable chain link fence!